Access nearly 1,000 pages of classroom-ready activity sheets from lessons in reading comprehension to math; from quotation marks to science concepts and from Michigan to Mali. You’ll find activities at all levels! Purchase your annual subscription today and we’ll send you a special link with your own login and password. 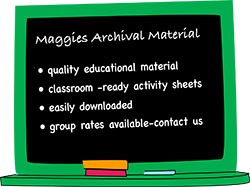 To view the goals and objectives of ALL the activities available in our archive section click here.